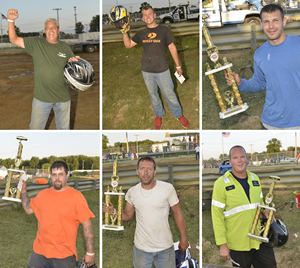 Thanks to all who came out to help celebrate the 122nd Cuyahoga County Fair. Whether you came for the elephant ears, the animals, demo derby, arts, crafts, floral exhibits, rides, or one of our great concerts, your attendance makes all the work we do throughout the year in preparation for Fair week worthwhile. • Heat 3: Hiram Smith Jr. Links to photos from this year's event can be found by hovering over the Gallery tab at the top of the page. Feel free to share with family and friends. Our thanks again for your patronage of this historic regional event, and we look forward to seeing you all out again for the 123rd Cuyahoga County Fair in 2019! 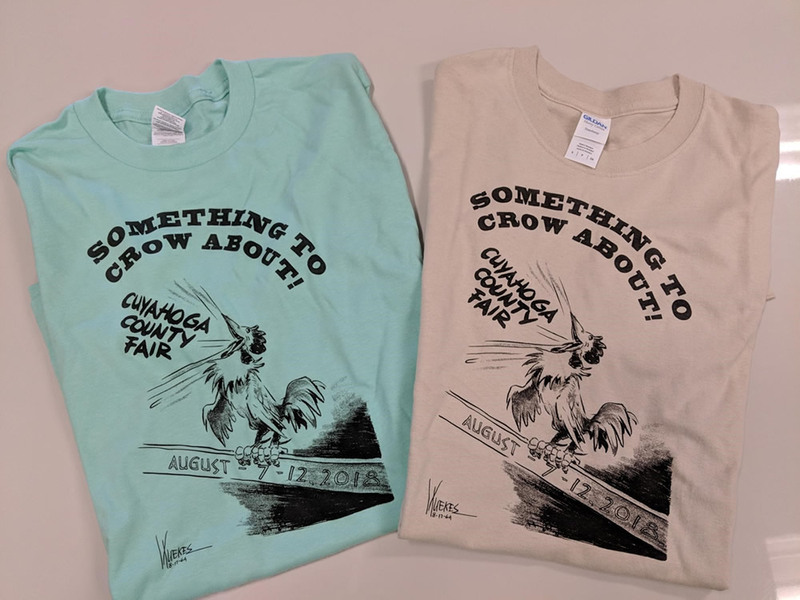 The 2018 Cuyahoga County Fair “Something To Crow About” Tee-Shirts are now on-sale at the Cuyahoga County Fairboard Office. 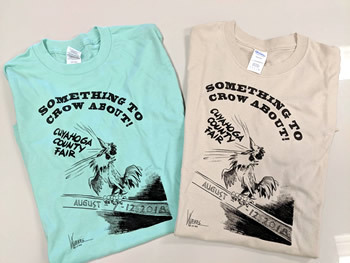 With sizes ranging from Small to XXXL in both Mint and Tan, you will certainly be the “Rooster About Town” in your new tee-shirt! Heck, buy one for the whole family!